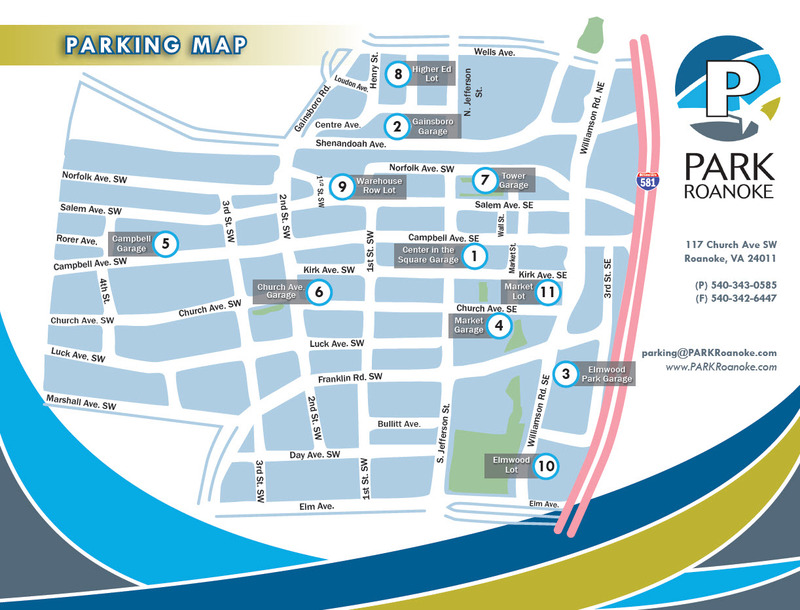 PARK Roanoke offers several maps to help you find the most convenient parking space near your destination. 2) Downtown Roanoke, Inc. offers an interactive parking map. 4) Roanoke’s on-street parking map This map allows users to view parking restrictions and time limits along city streets. It is part of an ongoing Sign Review Project. The map is being continuously updated.